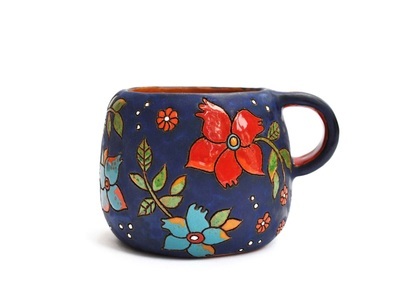 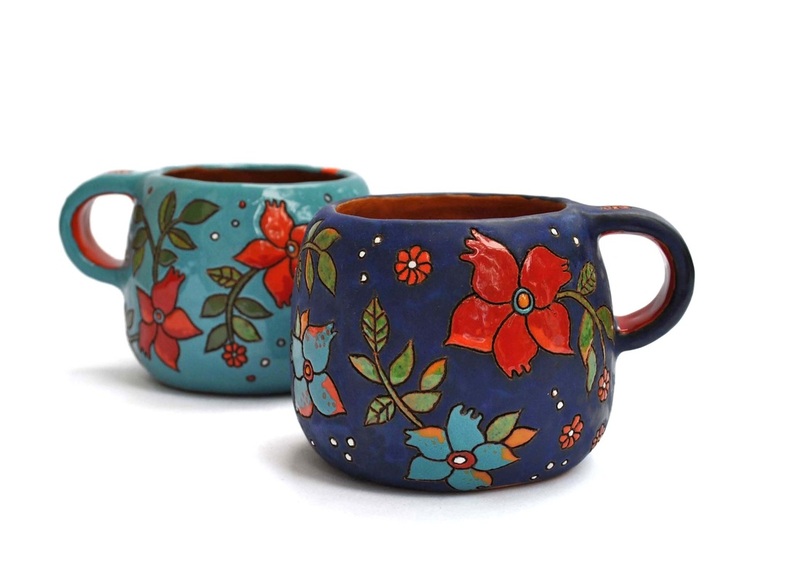 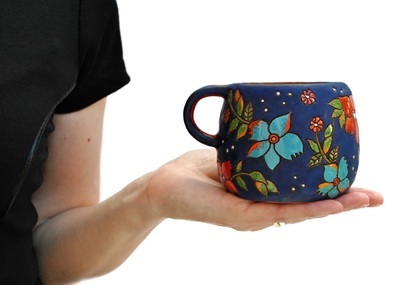 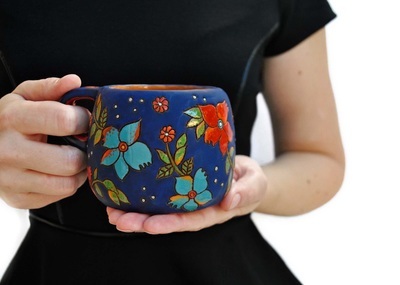 The cups are covered in a detailed, colourful yet subtle pattern of magical flowers. Perfectly sized for a morning coffee, these cups have rounded corners that make them cozy to hold. 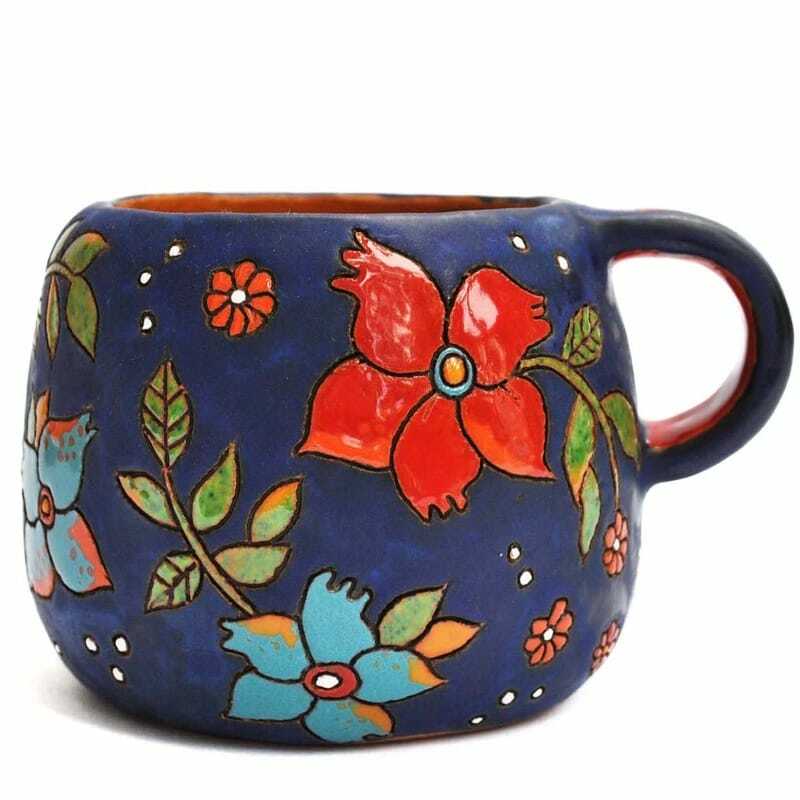 Each cup is approximately 8 cm (3.2 in) height.